On 1 November 2018, the Victorian government introduced some changes to the road rules. There are now more severe penalties in relation to certain offences under the Road Safety Act 1986 (RSA) and the Road Safety (Drivers) Regulations 2009 (RSDR). It is hoped the changes will deter drivers from speeding and from driving whilst unlicenced or disqualified. Longer licence suspensions now exist under the Road Safety Act introduced in relation to offences of excessive speed. The below table depicts the changes made to speeding offences for regular vehicles in circumstances where the offender is a full licence holder. The monetary amounts cited are based on the value of a penalty unit at November 2018, which is $161.19. Under the amended Road Safety Act, excessive speed offences, i.e. speeds exceeding 25 km/h or more over the limit, will no longer accrue demerit points. However, the automatic licence suspension period has increased from 1 month to 3 months. A term of imprisonment not exceeding 2 years (previously 240 penalty units or imprisonment not exceeding 2 years). Two new sections have been introduced as part of the changes to the Road Safety Act. Section 32(1) provides for offences relating to engaging employees and volunteers who are unlicenced to drive motor vehicles. It is a defence to this offence if the employer is able to demonstrate they held a reasonable belief that the employee or volunteer held a valid drivers licence or permit to operate a motor vehicle. Section 32(2A) of the Road Safety Act allows penalties to be imposed on employers who become aware that an employee or volunteer does not hold a valid licence or permit to operate a motor vehicle and continue their employment. The maximum penalty for either of these offences for an individual is 20 penalty units and for a corporation it is 100 penalty units. Section 32(3) of the Road Safety Act provides that it is an offence for an employee not to notify their employer that they do not hold or have ceased to hold a licence or permit to operate a motor vehicle. The penalty for contravening this sub-section is 10 penalty units. Section 32A now imposes penalties on persons who knowingly allow, permit or cause another person to drive a motor vehicle without a valid drivers licence or permit to drive that motor vehicle. The maximum penalty for a contravention of this section is 60 penalty units or 6 months imprisonment. The increase in penalties around unlicenced driving, driving while disqualified, and the newly introduced offences of engaging employees or volunteers to operate motor vehicles, knowingly them to be unlicenced, exemplify a tougher approach to enforcing road rules in the State of Victoria. 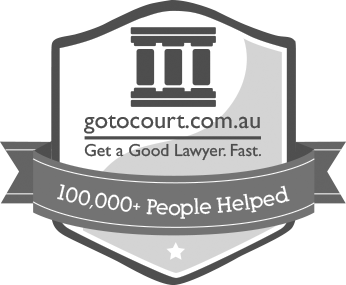 If you require legal advice in a traffic matter or in any other legal matter please contact Go To Court Lawyers.